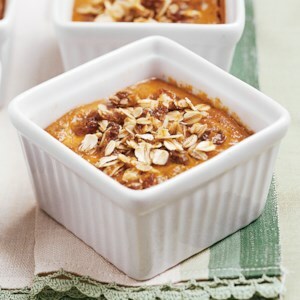 You don't have to have pumpkin pie to still enjoy pumpkin and spice in a fall dessert. 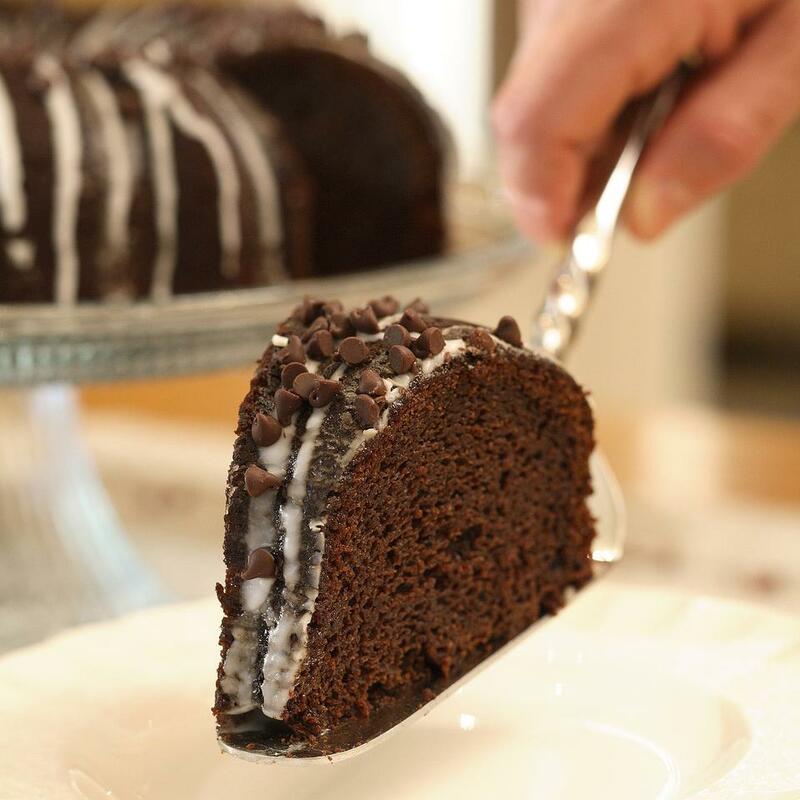 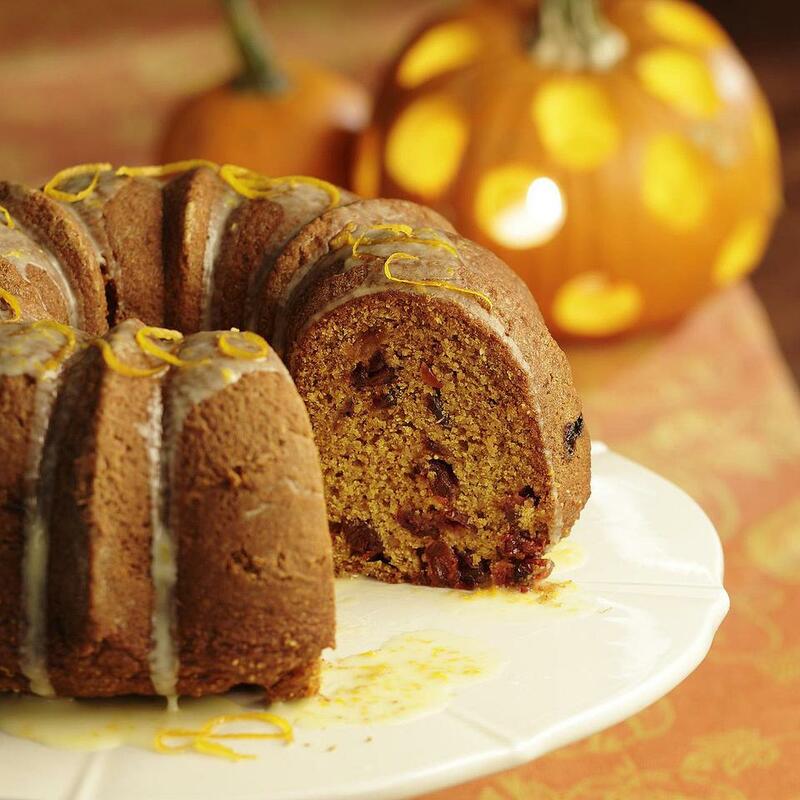 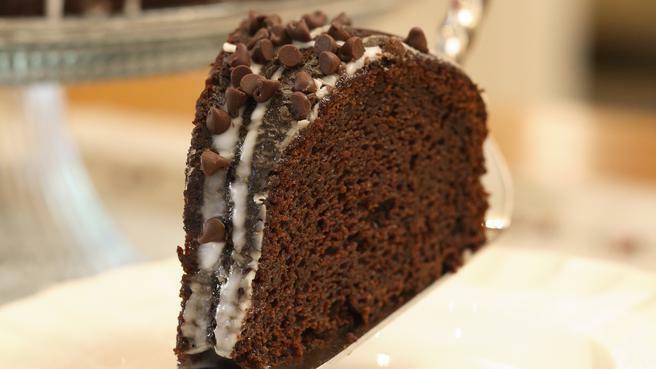 This easy Bundt cake recipe is perfect for fall entertaining. 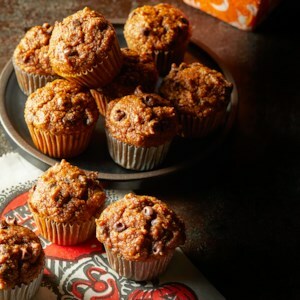 As the leaves on the trees change from green to yellow and red, the cooling weather can mean only one thing: it's pumpkin time. 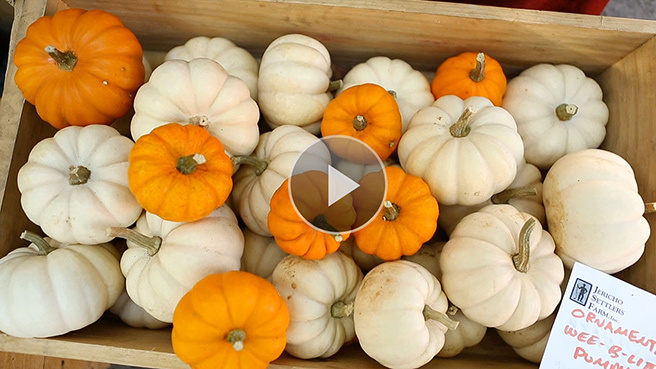 Get the lowdown from Vermont farmers on how to find the right types of pumpkins for delicious recipes for fresh-cooked pie and more! 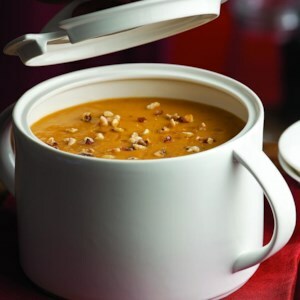 Apples add just a hint of sweetness to this velvety pumpkin soup. 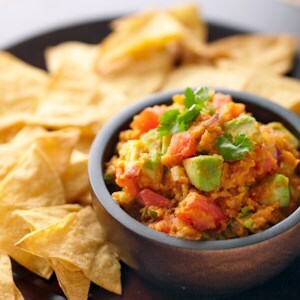 Try it as a delightful first course for a special meal. 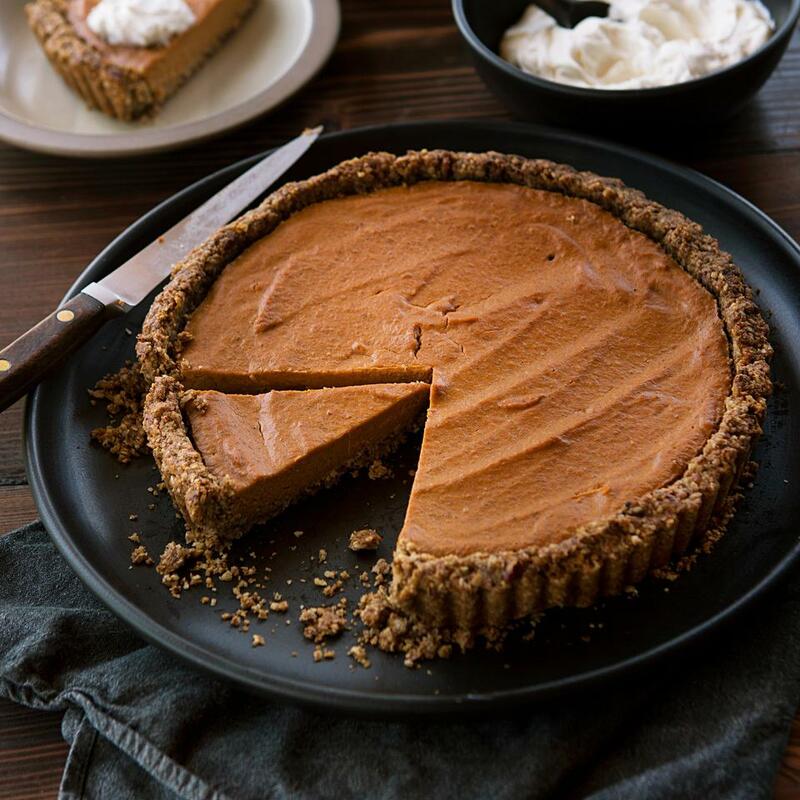 While pumpkin pie deserves respect as a Thanksgiving icon, it's fun to shake up tradition. 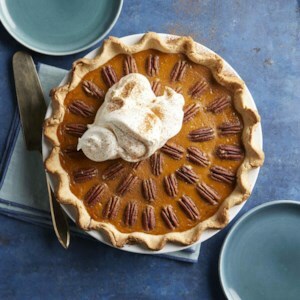 Surprise your family and friends with a frozen pie this year--it just might become one of their holiday favorites. 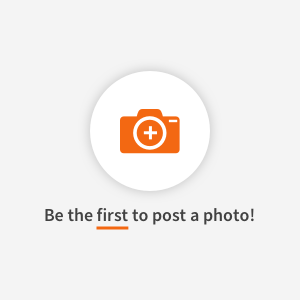 No need to let them know how easy it is. 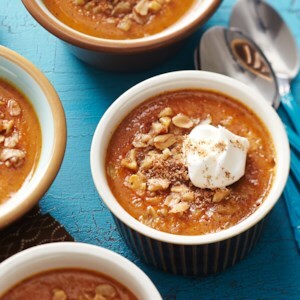 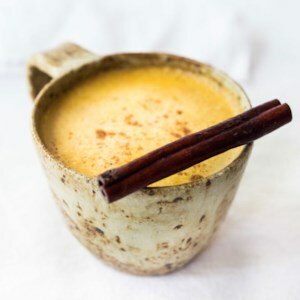 Canned pumpkin puree (pure pumpkin, not pumpkin pie filling that has added sugar and spices) is awesome to keep on hand, especially in the fall. 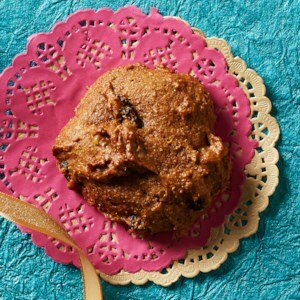 You may think of it as just an ingredient and pumpkin pie or pumpkin bread--but it can be used in so much more! 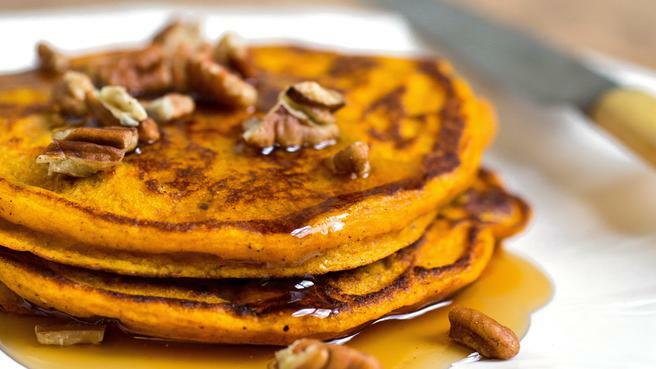 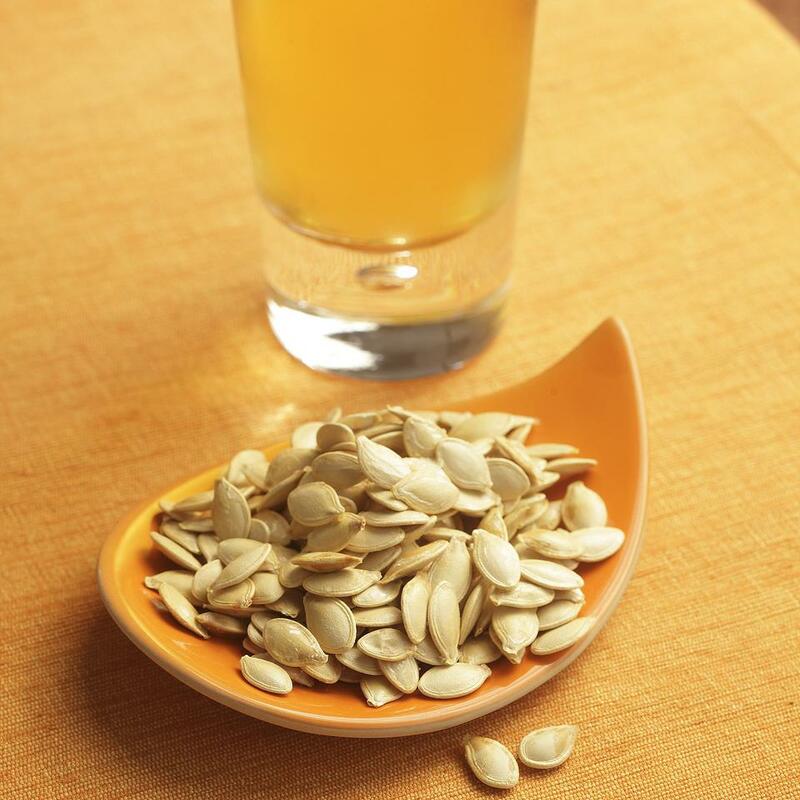 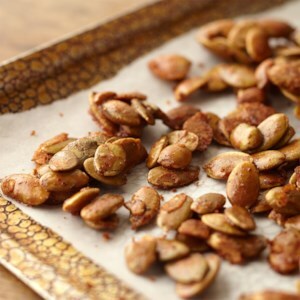 From sweet to savory, find the best recipes to use up your canned pumpkin. 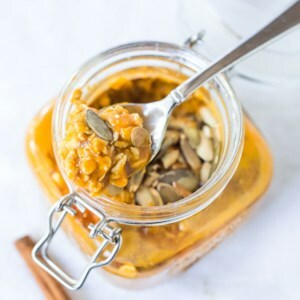 With pumpkin, ricotta and a little maple, this easy overnight oats recipe tastes like dessert, but it's actually good for you! 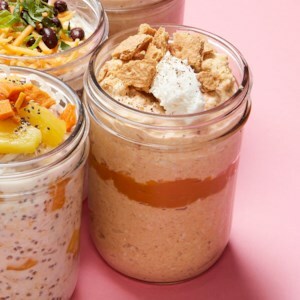 Plus, it's perfect for a quick, on-the-go healthy breakfast. 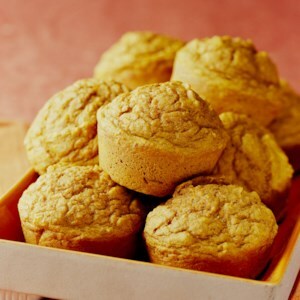 This overnight French toast recipe is especially tasty with the addition of canned pumpkin and spices. 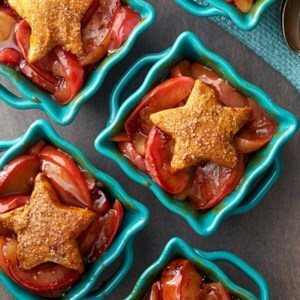 Topped with a coffee-flavored maple syrup and optional fruit, it's sure to be a fall or winter favorite with everyone at your table. 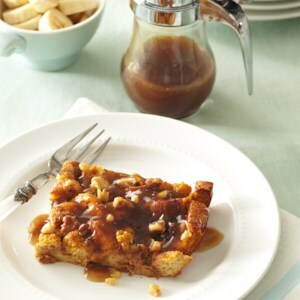 Bored with plain waffles and syrup? 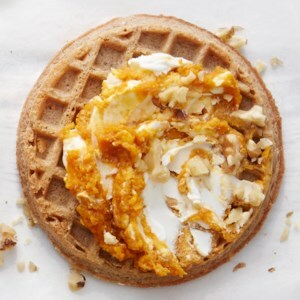 Don't settle for the ordinary any longer--with just a few extra ingredients your breakfast waffles can taste like a delectable dessert! 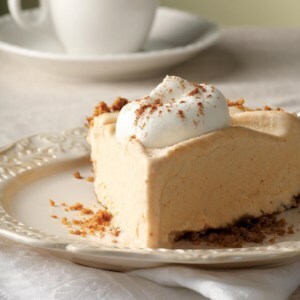 Just a tablespoon of canned pumpkin mixed with reduced-fat cream cheese will have you asking for seconds. 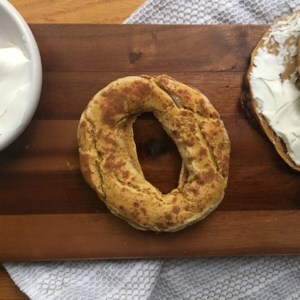 Give easy two-ingredient dough bagels a fall-flavor makeover with this genius hack. 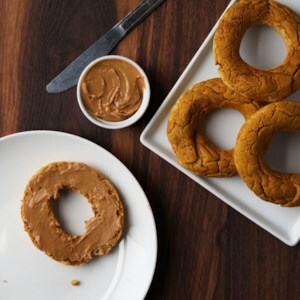 We've replaced half the Greek yogurt in our traditional two-ingredient dough with pumpkin puree and added in a little pumpkin spice. 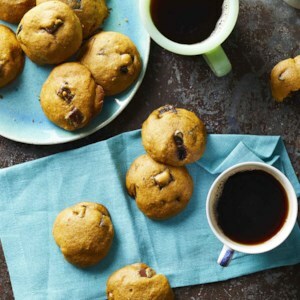 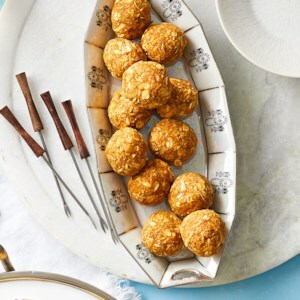 Five ingredients are all you need for this special, yet healthy, breakfast treat. 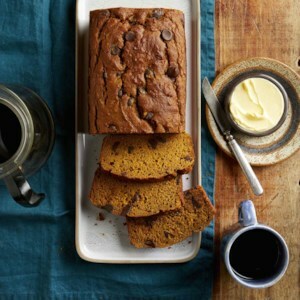 Pumpkin bread gets a chocolatey makeover in this healthy recipe that has cocoa powder in the batter and is studded with even more chocolate in the form of melty chips. 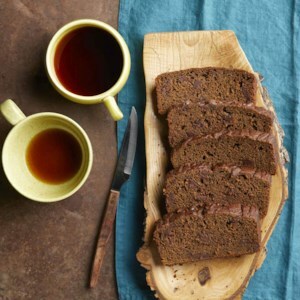 This easy quick bread is so tasty, it could pass as a dessert. 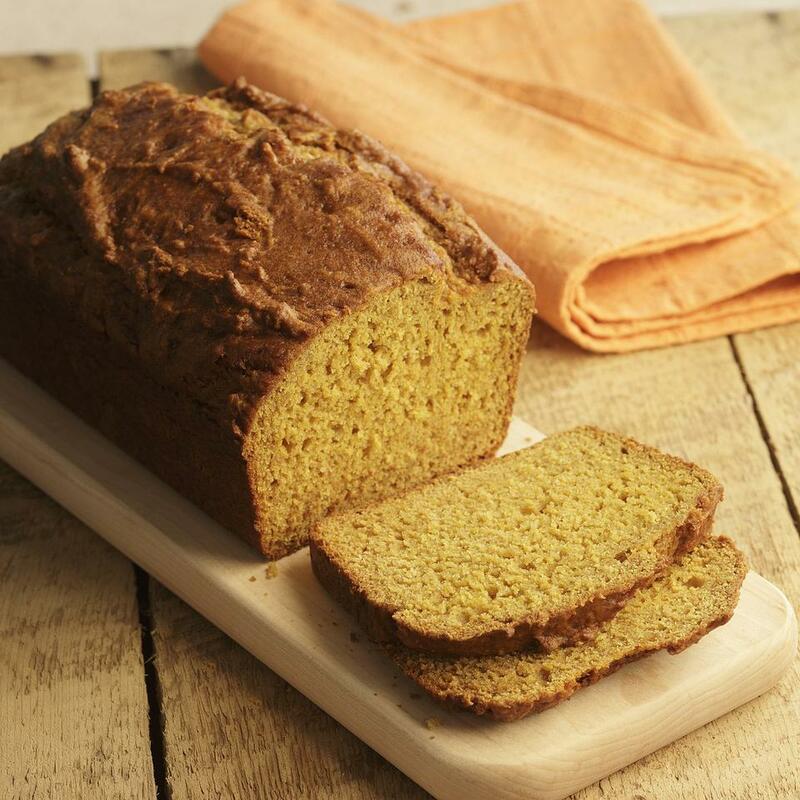 Two favorite quick breads come together in this healthy pumpkin banana bread recipe. 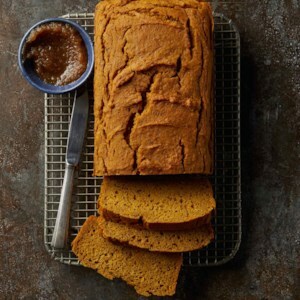 Pumpkin puree and mashed banana add sweetness to help cut down the amount of added sugar while ensuring this 100-percent whole-wheat loaf stays moist and tender.